Now you just need to find the time to do them all. 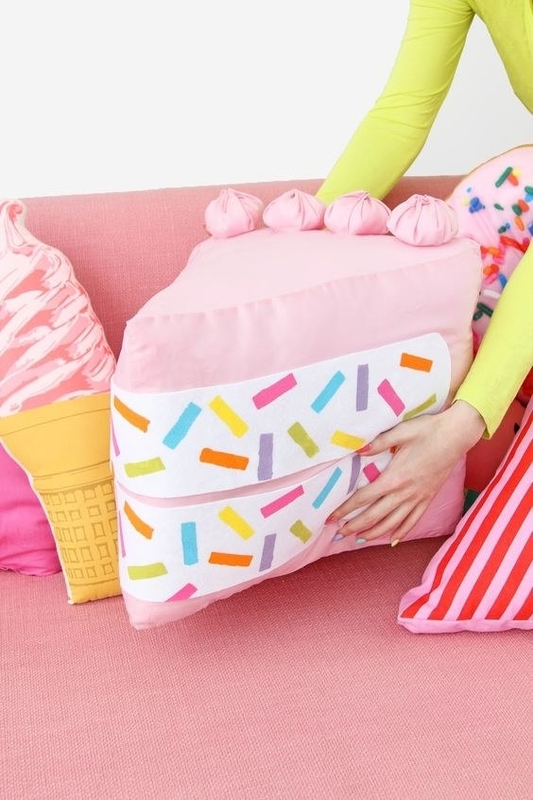 Turn your couch into a bakery display case with a no-sew Funfetti pillow. *Almost* as good as an actual piece of cake. Almost. Or make a layer cake to display your pin collection on. Yes. This is a cake to store pins on. A CAKE TO STORE PINS ON. It just doesn't get any better than this, people. Get the tutorial at Brite & Bubbly. “Plant” a garden of felt succulents. Always forget to water your plants? Not a problem with these guys! Get the kit from Amazon for $19.99.